R H Morton takes care of every detail and are primarily geared to the Design, Manufacture, Supply and Service of Commercial Kitchens, Bars and Marine Galleys, With a sound engineering base, good technical back-up and a dedicated quality team of people with interest and commitment to all their customers this company delivers time and time again. 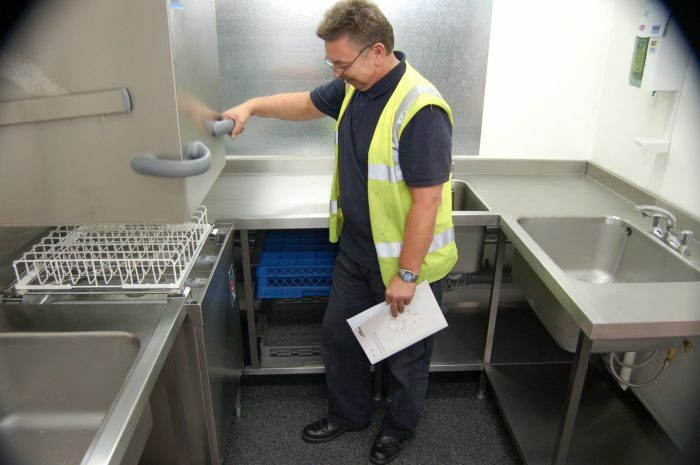 R H Morton delivers a full design, manufacture and installation package for it’s customers, from Cold Rooms and Wine Cellars, all kinds of Dish/Glass & Utensil Washing, main kitchen Cooking Suites and front-of-house Bar Fittings – even down to the Air-Conditioning. They can work with existing equipment and integrate it into the design to keep the budget down without compromising on appearance or operational aspects. The Company goes the extra mile in working with their clients. Managing Director, Judith Tatham and Sales Director, Mark Rodden listen to their clients and consult widely with the team to come up with a design which will keep a kitchen in good stead for many years to come. Headed up by Service Manager, Andrew Hill, as part of the carefully planned installation process, qualified R H Morton specialists will install your new equipment, train your staff in how to use and care for it, and take care of organising any Warranty and After Sales Service. Once an order is placed, a Services Schedule is prepared following one or more site visits and a check made prior to installation to ensure that those Services have been correctly put in and meet the requirements of the equipment being installed. Quotations for additional Gas and Electrical work can be given where this is necessary and every effort is made to communicate with the client to minimise any such problems. Morton's are particular about their standard of installation in every respect and have an enviable depth of experience in this field.